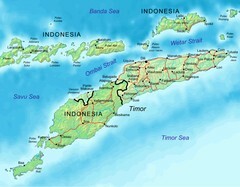 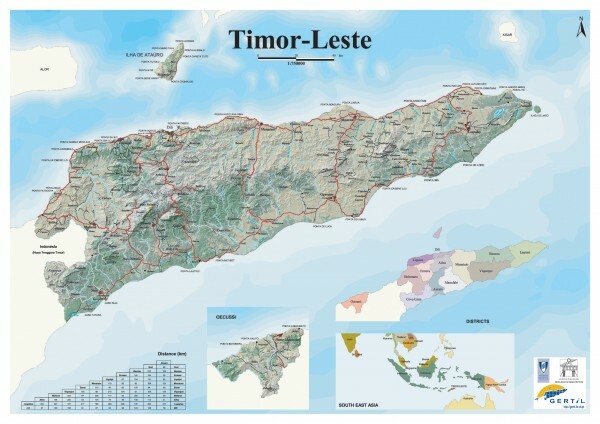 Shaded relief map of East Timor. 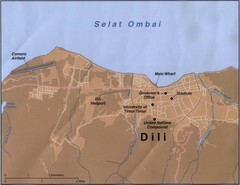 Inset map shows location in Southeast Asia. 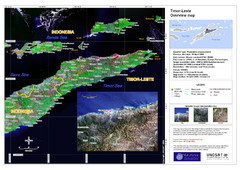 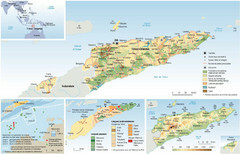 Additional inset maps show districts of East Timor, Atauro Island, and the Oecussi district exclave.